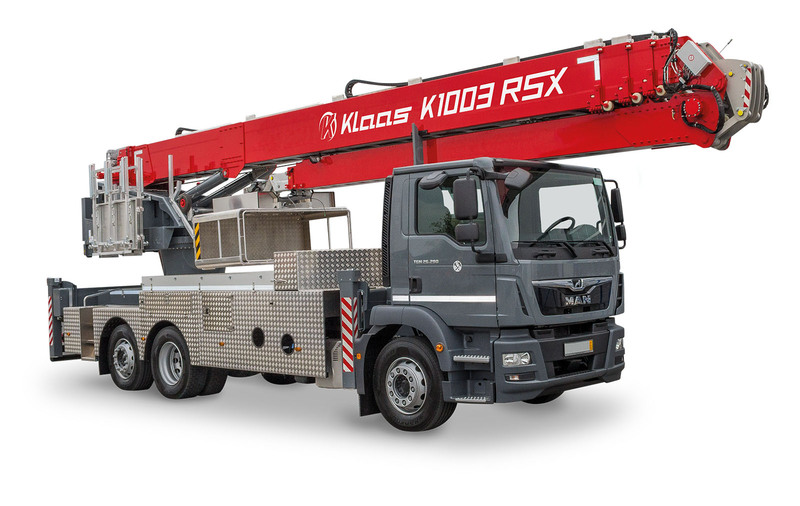 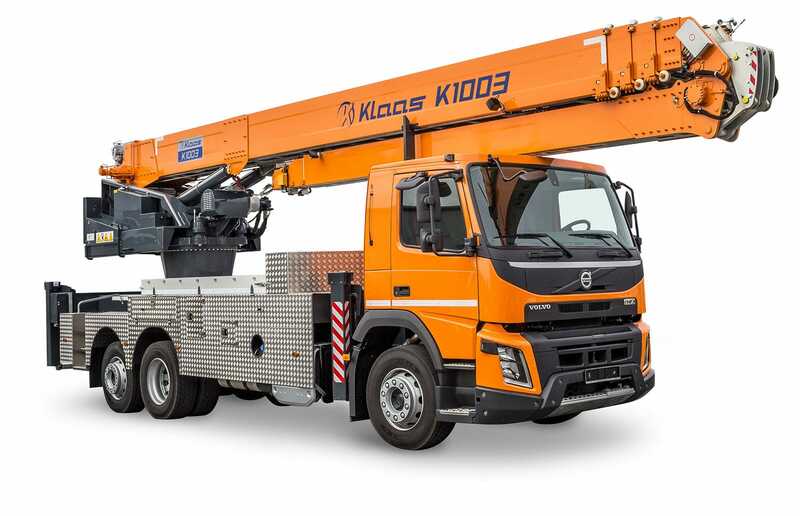 The K1000 RSX has been consistently developed in the form of the K1003 RSX: constructed on a 3-axle truck, it has been possible to significantly improve the performance range of the largest Klaas mobile crane. 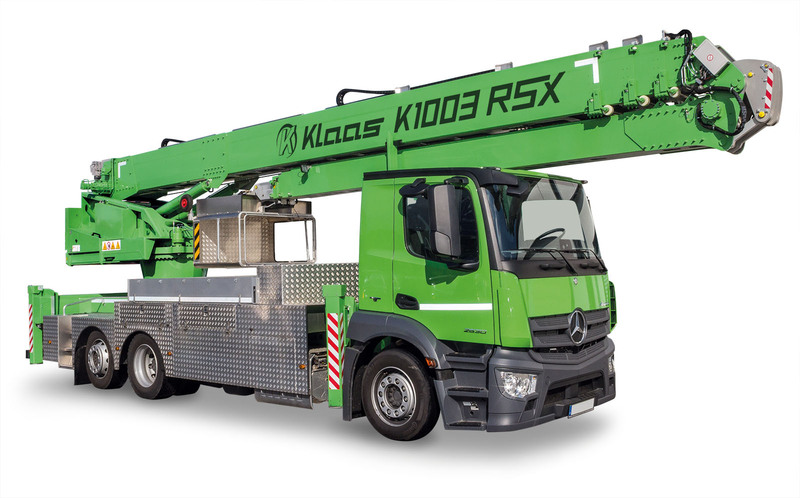 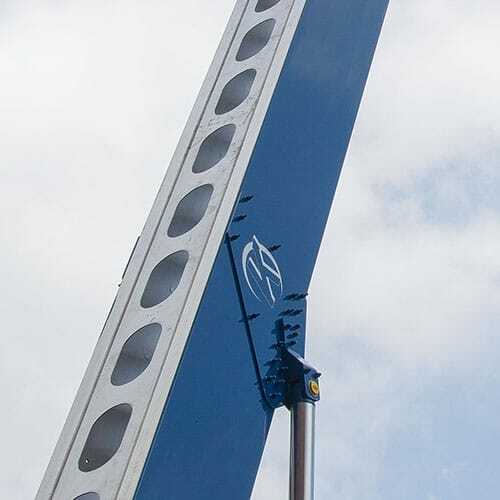 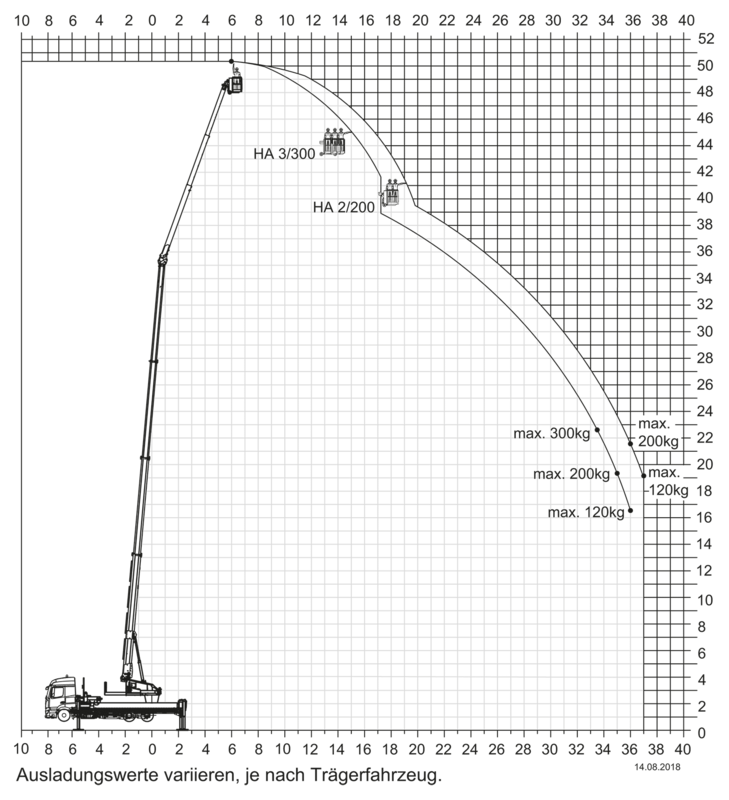 Besides an extended load chart, it features a hook height of almost 53 m with an extension length of 54 m. What is more, the K1003 RSX works with a dual telescopic fly jib, on which both extensions can be extended simultaneously and to the same extent. 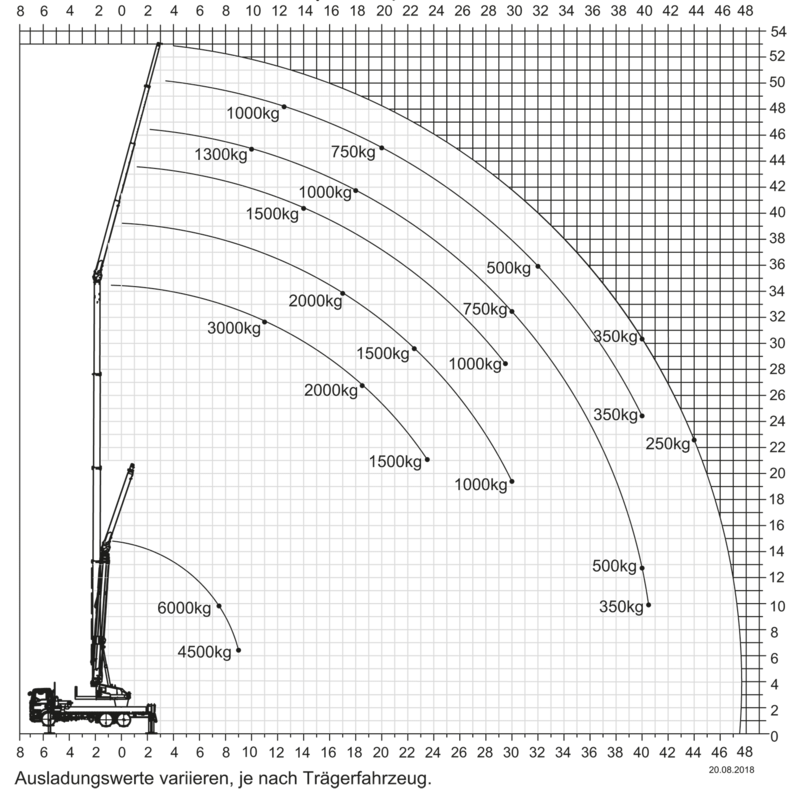 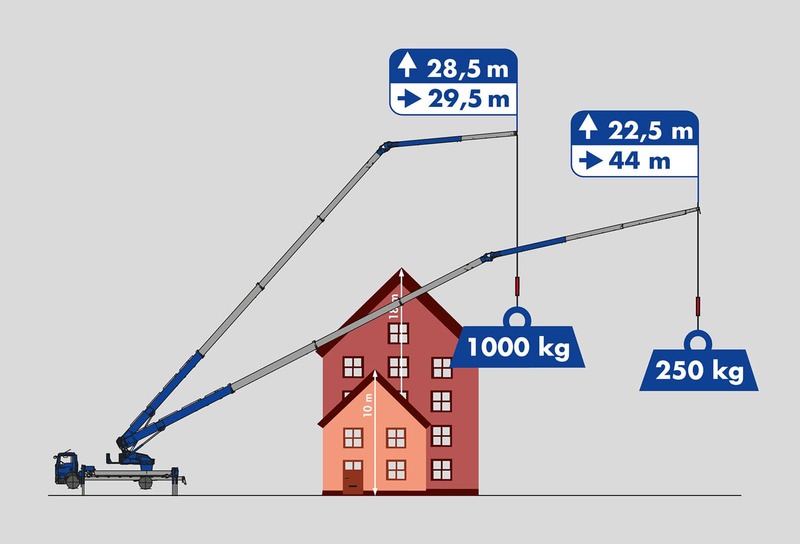 This means that the weight being carried is optimally distributed and the fly jib can be used extensively even in tight construction situations. 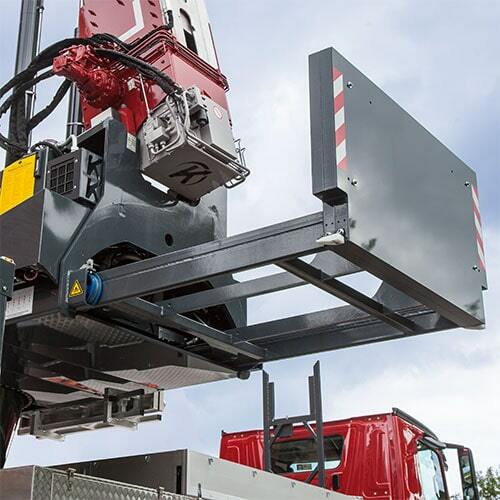 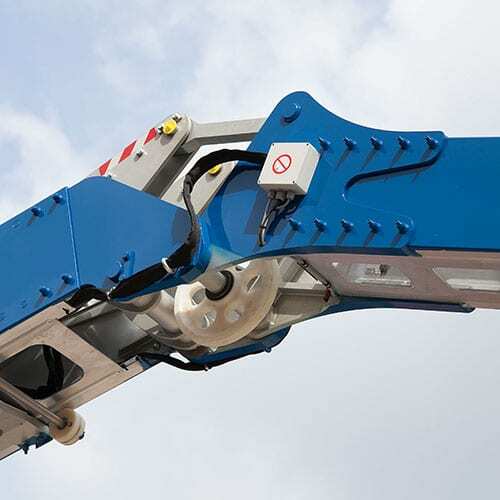 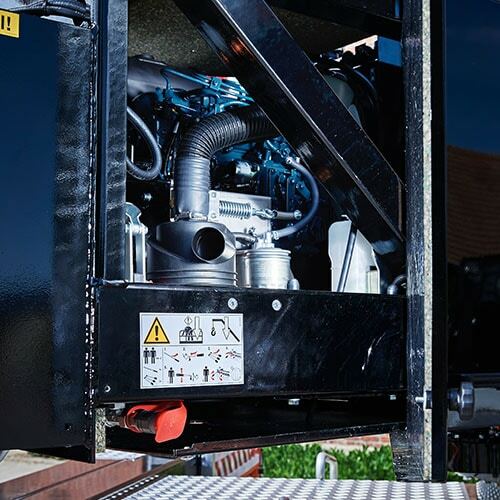 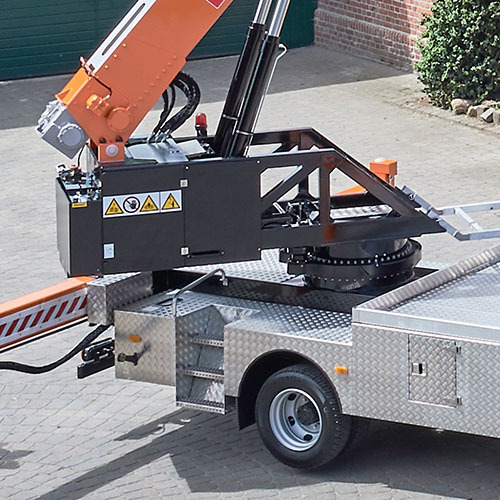 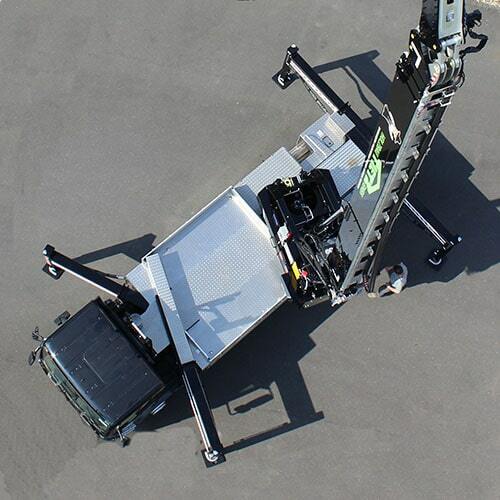 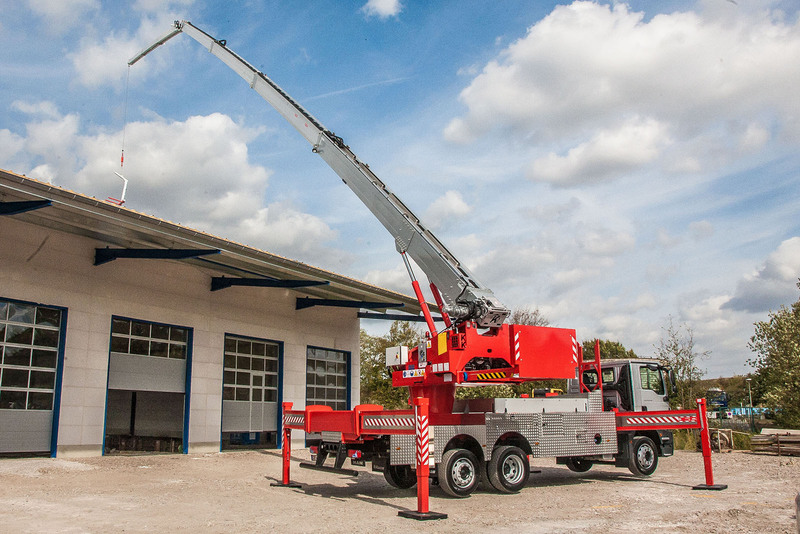 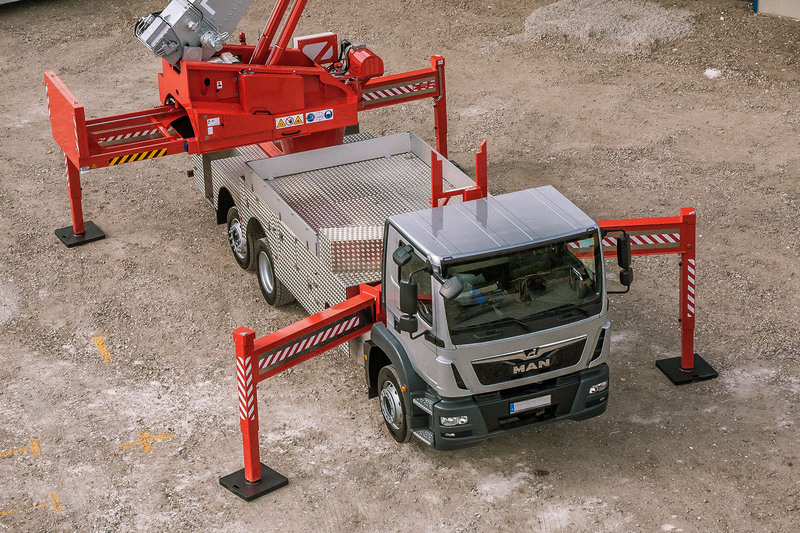 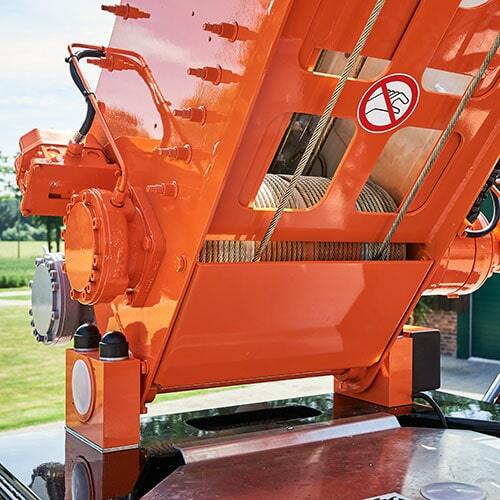 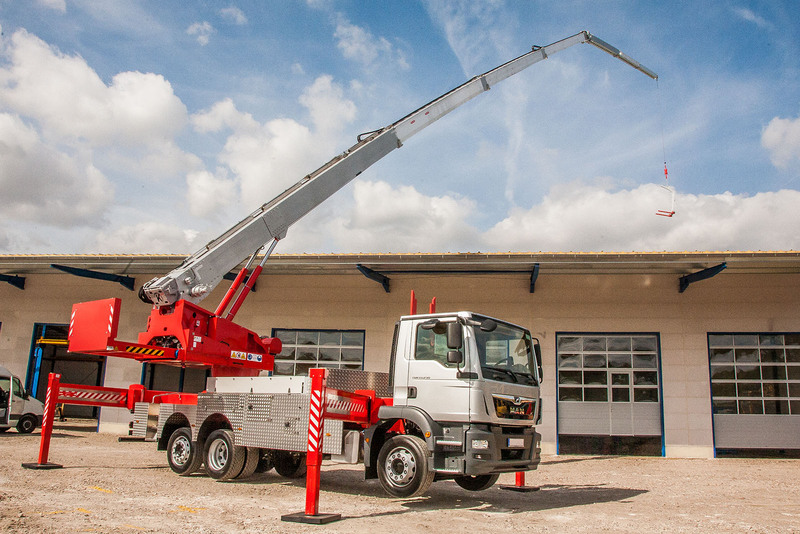 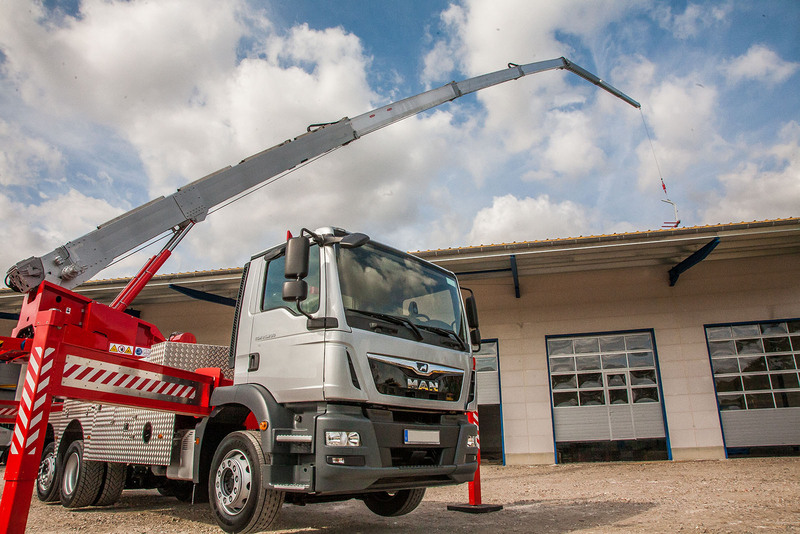 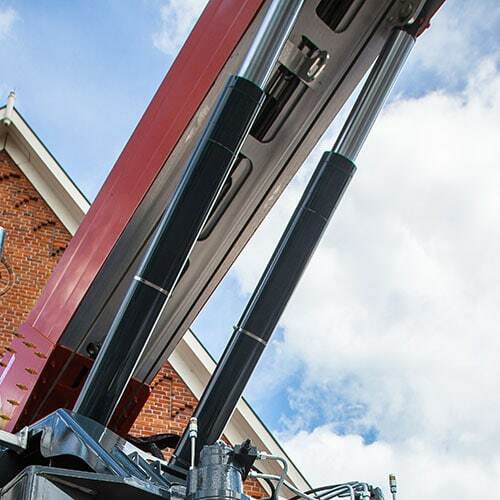 utilization of the folding tip even in narrow body situations thanks to variability and "extending in the air"
The crane can be converted to a fully-fledged working platform in less than 5 minutes. 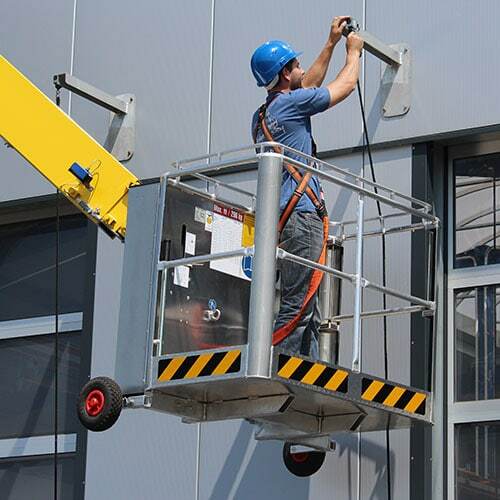 230 V socket provides power for electric tools in the working platform. 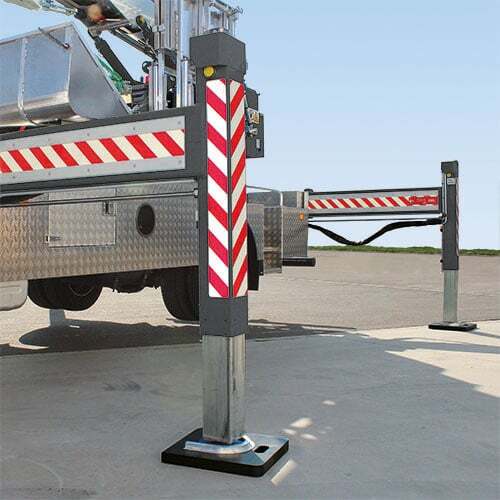 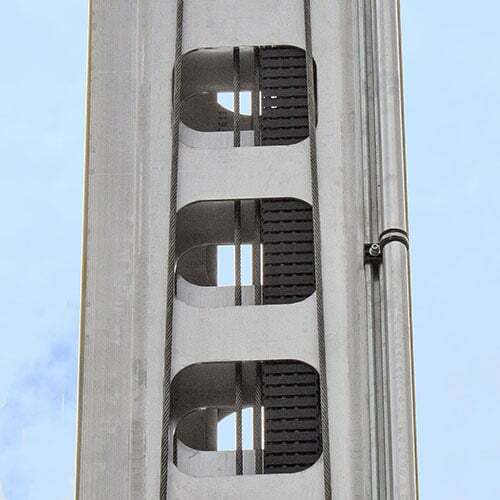 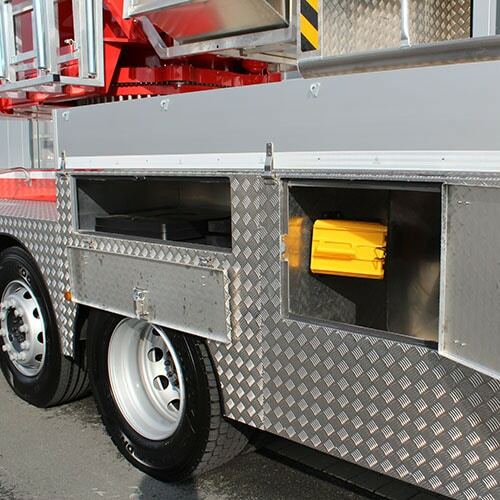 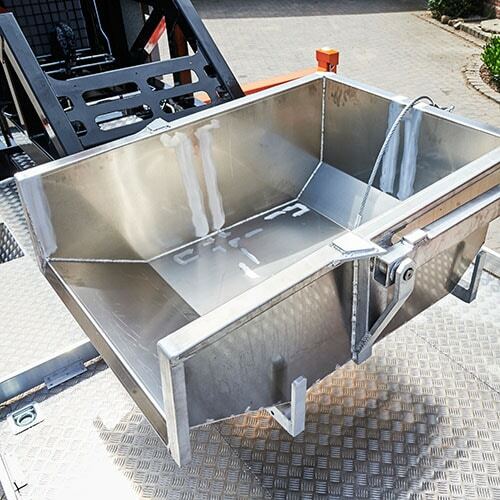 The working platform can be swivelled left and right by 45° to either side.